Ever since the unveiling of Android Lollipop alongside the Nexus 9 and Nexus 6, and the subsequent release of the Material Design support library, Google has been updating their app suite one by one to comply with the new design language. Most of the major apps such as Google Play, Gmail and Play Music have already been updated, and today, Maps joins the paper-and-ink party. 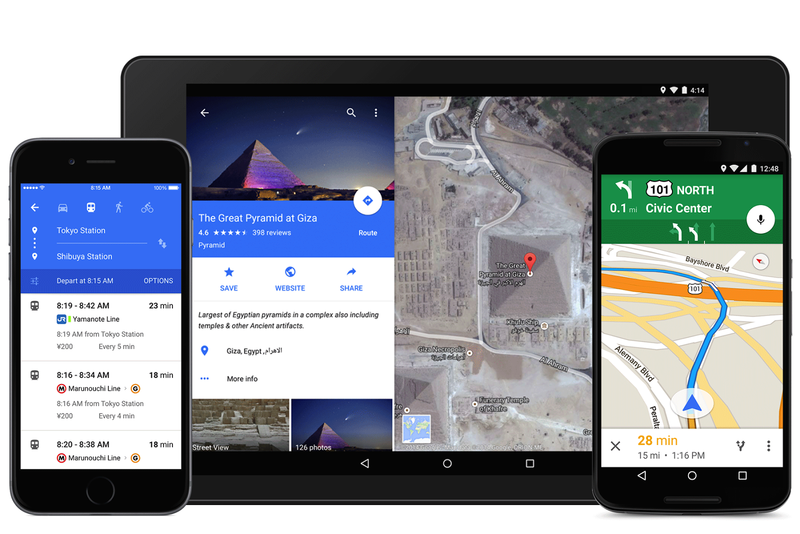 Earlier today, a post on the Google Maps blog announced the new version, carrying the version 9.0.0 tag and stated that the rollout would take place over the net few days. The design refresh introduces a much needed color element in Maps, alongside the drop shadows and papercraft inherent from the guidelines, making maps a delightful experience. In addition to design, the update bring Uber integration that displays time and price cards, and OpenTable integration which allows you to book a table from the restaurant info section. If waiting for rollouts isn’t your cup of tea, head over to XDA Portal Supporter MihirGosai’s APK mirror (Android 4.4+, Android 4.1+) to download the Maps v9.0.0 apk and sideload it to your device, allowing you to experience the update in all its glory. The apk is officially signed, and upgrades your existing app. Psst, YouTube, you’re expected next!